Insiders reveal how to find deals on produce while supporting local vendors. The produce sold at most supermarkets is typically harvested before it’s ripe, says Chris Curtis, executive director of Seattle Neighborhood Farmers Markets. Then it’s transported — often long distances — before arriving at the store, she says. The many people involved in getting a tomato from the vine to the store and, finally, into your tote may get a slice of your payment, Curtis says. That doesn’t leave much for the farmer. When you buy a tomato at a farmers market, however, “almost all of your dollar is going directly to the grower,” Curtis says. That grower picked the produce ripe, soon before selling it. A recently harvested peach tastes better than that “hard little green ball” sold at large retailers, she says. Here’s how to get the most for your money when buying produce and other farmers market goods. In addition to scoring deals — and maybe even a friendship — becoming a regular gives you “an inside scoop on the variability of the season,” says Nina Gruber, outreach and development coordinator for Seattle Neighborhood Farmers Markets. For example, you may be among the first customers to know when farmers will start selling peaches, she says. 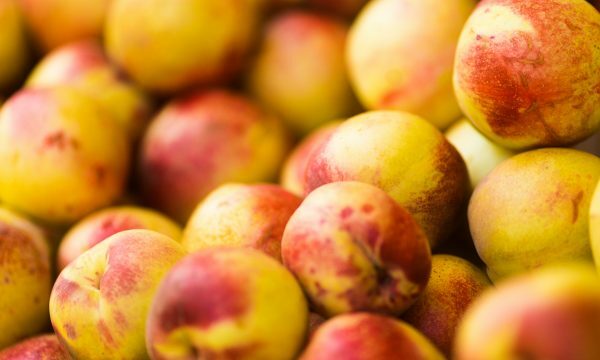 You may also learn when peach prices are expected to change with supply and demand throughout the season. 2. Buy “ugly” produce. “Seconds” or “No. 2s” are fruits and vegetables that taste the same as other produce but look a little off — they may be misshapen or bumpy, for example. Farmers typically sell them more cheaply than the perfect-looking produce. “It’s something farmers have been doing since the dawn of farmers markets,” Gruber says. Get a deal on seconds, and you’re not just saving money — you’re also helping to reduce food waste. Even if you prefer eating or serving flawless produce, you can follow Gruber’s lead and use seconds for cooking, baking and making jam. She buys a box of No. 2 tomatoes, then cooks and freezes batches of pasta sauce. “Then I have sauce for the rest of the year,” she says. 4. Shop late. Vendors don’t want to be stuck with unsold inventory so “they’ll start slinging deals toward the end of the day,” Gruber says. For example, in the final 30 minutes the market is open, you may be able to snag a bag of apples for half the price you would have paid first thing in the morning. The trade-off is that there will be a smaller selection of products at the end of the day, Gruber says. 5. Get discounts on bulk purchases. Remember, vendors want to offload as much of their product as possible. So they’re incentivized to cut a deal if you’re interested in buying a lot of it, Lupton says. Ask vendors what prices they can offer for the quantity you want, such as a dozen cookies or two pounds of potatoes. They may throw in a few extra potatoes or charge you less for a batch of cookies than they would have for 12 individual treats.